Hello ladies! I was contacted by Zalando almost two weeks ago and asked if I would like to review a product from their website. I was offered a £40 voucher towards whatever I wanted to purchase from their website which was so generous! The person that first contacted me was very helpful. 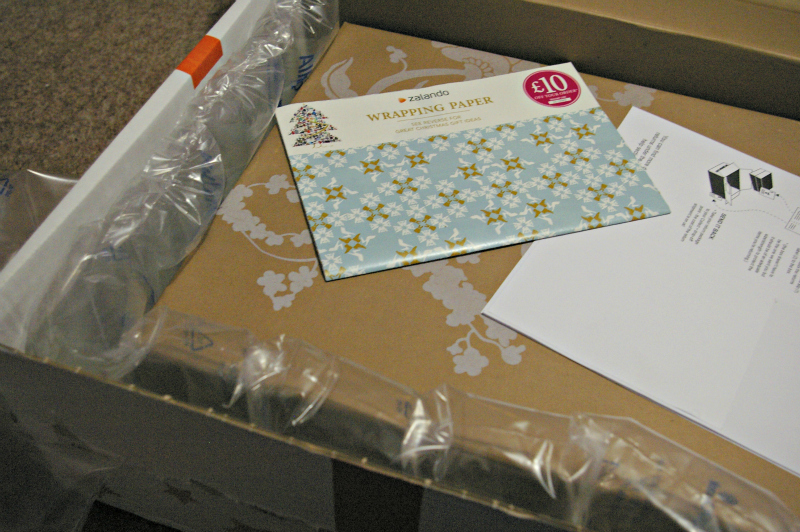 They quickly answered any questions I had and sorted out my voucher code very quickly. I was really happy with the service I received from them! 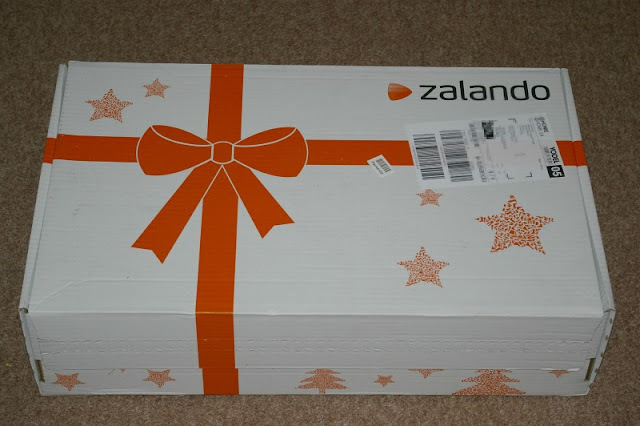 I had never heard of Zalando before and I was pleasantly surprised when I visited their website. They informed me that all of the brands they stock are genuine and they are an online outlet. They have absolutely loads of brands of clothing, accessories, shoes and beauty. I was on their website for ages searching through everything and I loved it! First of all I was going to buy some Hunter or Joules wellies but they didn't have my size. I then decided to have a look through their boots. I decided to order some black boots. 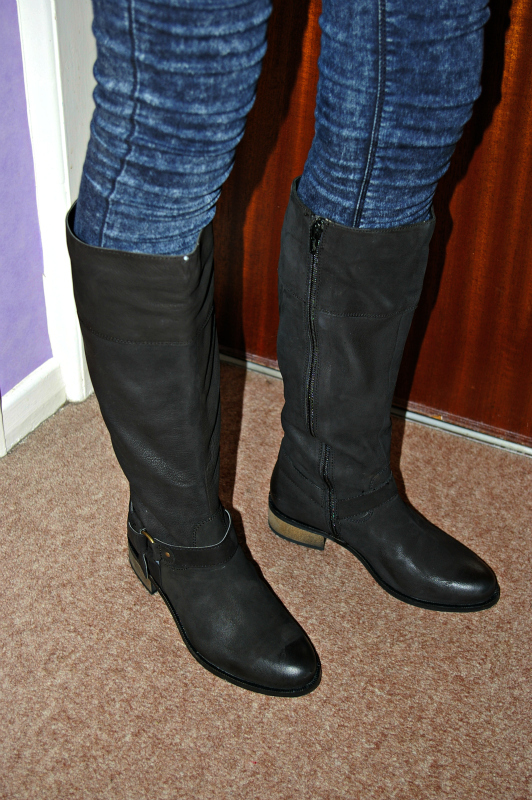 I have been on the hunt for some boots for a while now and have found some lovely ones in Russell and Bromley but none of the ones I have found are perfect. 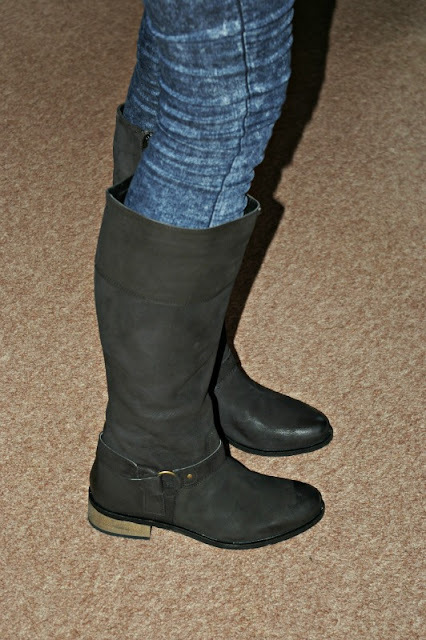 Whilst searching the Zalando website I found these lovely ones from Oasis and I really liked them! They arrived in this adorable and massive box. It is covered in Christmas trees and stars with a big bow on the front which I love! I ordered these boots on 30th November and received them on 7th December which I was impressed with as that included a weekend. 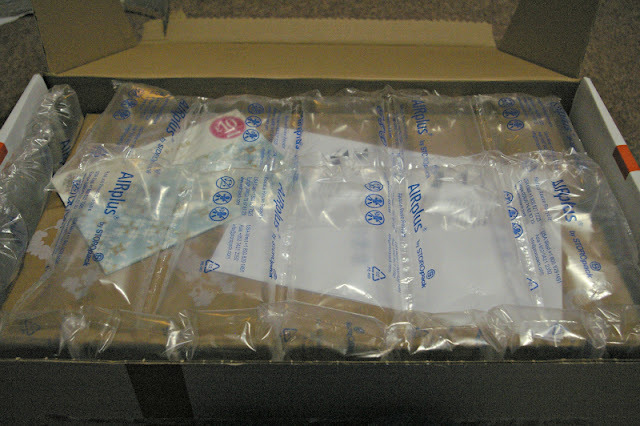 I did receive a tracking number I could use to track the shipping but it didn't work. 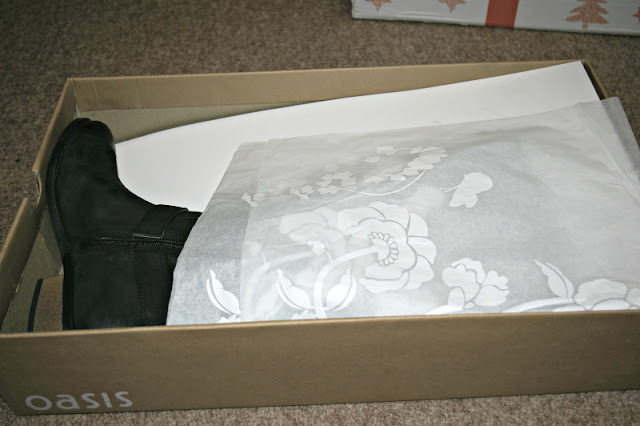 The boots I ordered are Oasis boots and I was so excited to get them! They came packed in a lovely Oasis box with floral tissue paper. 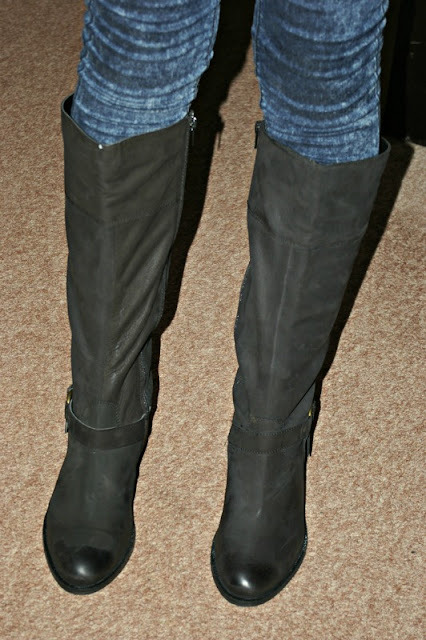 I really like these boots! The zip was very stiff when I first tried to unzip them which slightly worried me but they are fine now! I have only worn them around the house a couple of times but so far they seem comfy. I would definitely recommend having a look at the Zalando website as I will be looking to order more items from them in the future! Have you ever heard of Zalando before? 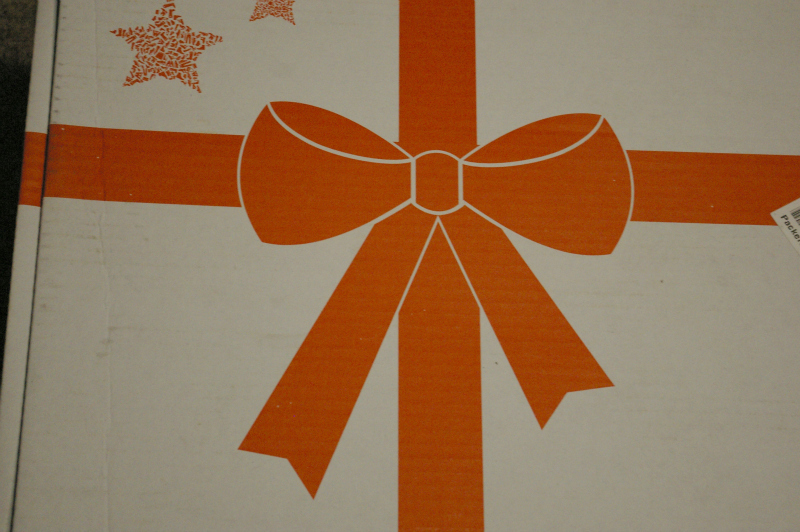 Do you think you will be purchasing anything? Disclaimer: I did have a £40 voucher to use towards these boots. Wow, the boots look awesome and so warm!! Gorgeous ... leuk object ..